In 1860, when Dmitri Mendeleev was a young chemist, he went on a train holiday to Italy with his friends. This trip was nine years before he invented the periodic table that made him famous. He was living in the German city of Heidelberg at the time, and took advantage of this central location to explore more of Europe. According to a 19th century Russian biographer, Mendeleev remarked, “We took hardly any shirts with us, and had to buy new ones when the need arose; we gave these away to the waiters in place of tips. We absolutely let ourselves go in Italy”. On the way back home, they even had a small run-in with the police, when Mendeleev’s friend, Alexander Borodin, was briefly mistaken for an international fugitive. They were quickly released after the misunderstanding was cleared up, and both would go on to successful careers in science. Mendeleev is best known for inventing the periodic table in 1869, effectively founding modern chemistry. Meanwhile, Borodin would live a dual life as both a successful chemist and an influential Russian composer. The tale of Borodin and Mendeleev’s epic journey to Italy is told in the biography that Borodin’s grandson Serge Dianin wrote about his grandfather. In the original Russian edition, Dianin included many of Borodin’s original letters, but unfortunately the translation is only left with fragments of letters. Still, it’s enough to get the sense that Borodin and Mendeleev were close. It includes a quote from a letter (to an unnamed recipient) in which Borodin wrote about his Heidelberg friends “my most intimate acquaintances are of course Mendeleev and Sechenov”. The latter is Ivan Sechenov, who later became a well-known neuroscientist. Borodin and Mendeleev were not the only Russian chemists in Heidelberg. It was a popular destination for scientists from St Petersburg in particular. Heidelberg was somewhere young academics went to get a sense of what was happening in the rest of Europe and to gain better access to supplies and facilities. It wasn’t always easy to connect with the local Germans, so the Russian chemists in Heidelberg formed a small exclusive community where they could discuss chemistry and socialize at each other’s homes. Borodin and Mendeleev were core members of their little group, which never had more than about a dozen members at a time. Borodin and Mendeleev had a lot in common, but unlike Mendeleev, Borodin did not become famous as a result of his chemistry work. Most people who have heard of him, know him from his successful hobby as a musician and composer. Borodin was a member of The Five, a Russian collective of composers that also included Rimksy-Korsakov and Mussorgsky. Much like his group of chemists in Heidelberg, they were a small, exclusive community of like-minded individuals who regularly got together and shared ideas about their work. The Five were the driving force behind a movement, to create a Russian style that was distinct from the traditional German music. Their works and style influenced more recent Russian composers like Stravinsky and Shostakovich. Borodin’s most-performed works include two string quartets and his opera, Prince Igor. In 1954, Borodin was awarded a posthumous Tony Award for the musical Kismet, which was based on an arrangement of original music from Prince Igor. Still, he left a legacy in chemistry as well. Borodin is credited with the discovery of the aldol reaction. This is a type of “addition” reaction, which makes it possible for chemists to create new molecules, by building upon smaller components. The aldol reaction has become one of many that organic chemists have made part of their regular protocols, in pharmaceutical production and elsewhere, but Borodin doesn’t always get recognised for it. French chemist Charles-Adolphe Wurtz discovered the aldol reaction at around the same time, and usually gets the credit. If you just look at his research contributions, it’s tempting to say that Borodin didn’t leave a lasting influence on the field of chemistry. His main discovery would have happened anyway, and the only reason anyone talks about his chemistry work at all is because it’s an unusual career path for an influential composer. In a way, Borodin was more similar to most researchers than his famous friends were. We usually only hear about the famous award-winning scientists and less about their colleagues behind the scenes. But thanks to Borodin’s fame as a musician, we know an unusual amount about this ‘regular’ chemist. Enough to realize that, even though his discoveries were not as groundbreaking as those of his peers, he certainly influenced the field of chemistry by being a friend and colleague to many big names of the time. Besides his friendship with a young Mendeleev, Borodin was connected to other big names of chemistry. The chemistry institute in Heidelberg was run by Robert Bunsen, who invented the Bunsen burner. Borodin was originally planning to work in Bunsen’s lab, but instead chose to work in the group of Emil Erlenmeyer, the creator of the famous conical flask. Erlenmeyer had set up his own independent lab, which Borodin found more modern and better equipped than Bunsen’s lab. Erlenmeyer was very welcoming of Borodin, who otherwise associated mainly with Mendeleev and the other Russians. When Borodin left Heidelberg, he noted in a letter to his mother that “except for Erlenmeyer I was acquainted with practically no Germans”. But through Borodin, Erlenmeyer reached a whole new community. He even became part of the otherwise all-Russian small chemistry community around Borodin and Mendeleev, and these connections helped him source articles for the journal he edited. Borodin worked in Erlenmeyer’s research group from 1859 to 1862, and Erlenmeyer’s flask invention is usually dated to about 1860 or 1861. 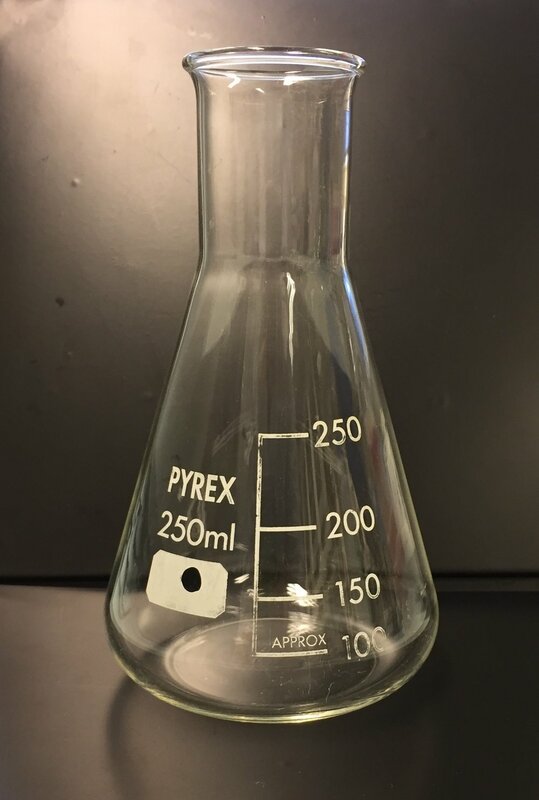 That means Borodin was very likely one of the first people in the world to experiment with this iconic piece of laboratory glassware. In between his chemistry work, Borodin made time to get together with other musicians in Heidelberg andplay chamber music. He also wrote a few pieces during this period, but his main focus was science. Back in St Petersburg, Borodin became chair of the Chemistry department at the Medical and Surgical Academy in 1864. This is where he did the research that led to his discovery of the aldol reaction, but he also worked closely with other chemists, often as a mentor. Together with his colleague V.C. Krylov (not to be confused with Krylov the playwright, who Borodin also knew) he discovered that the fat deposits in heart tissue were not glycerol, as they expected to see, but cholesterol. When Borodin presented this work at a conference in 1871, the link between heart disease and cholesterol wasn’t known yet. But rather than pursuing this further, they left it to be rediscovered in the early 20th century by other researchers. Borodin got particularly close to his research assistant Alexander Dianin, who even became part of his family when he married one of Borodin’s adopted daughters. Dianin was an accomplished chemist in his own right. His biggest scientific achievement is the synthesis of a molecule that’s a bit controversial these days: Dianin created the compound bisphenol-A (BPA) which chemists today use as a starting material in the production of household plastics. In recent years, many consumers and manufacturers have started avoiding BPA because at high concentrations it can interfere with hormone signaling pathways in the body. Some of Borodin’s other family members were equally impressive in their own right. His wife Ekaterina Protopopova was a talented pianist and a vocal supporter of women’s rights. She encouraged her husband to provide more academic opportunities for women, and in 1872 Borodin opened a program for women to study at the Medical and Surgical Academy. This made Borodin one of the first people in the world to provide formal medical training for women. Even before this, Borodin was mentoring women in his lab. Among them was Adelaida Lukanina. Borodin presented her research on her behalf at conferences (which were all-male gatherings at the time), which helped her to become the first woman to be published in the journal of the St Petersburg science academy. Lukanina continued her training in Finland, Switzerland and the USA, where she worked as a medical doctor. She eventually made a name for herself in Russia not only as one of the earliest woman doctors but also as a writer. Although Borodin enjoyed his work as department chair, he continued to focus on music. He even befriended the composer Franz Liszt, who helped draw attention to Borodin’s music across Europe. 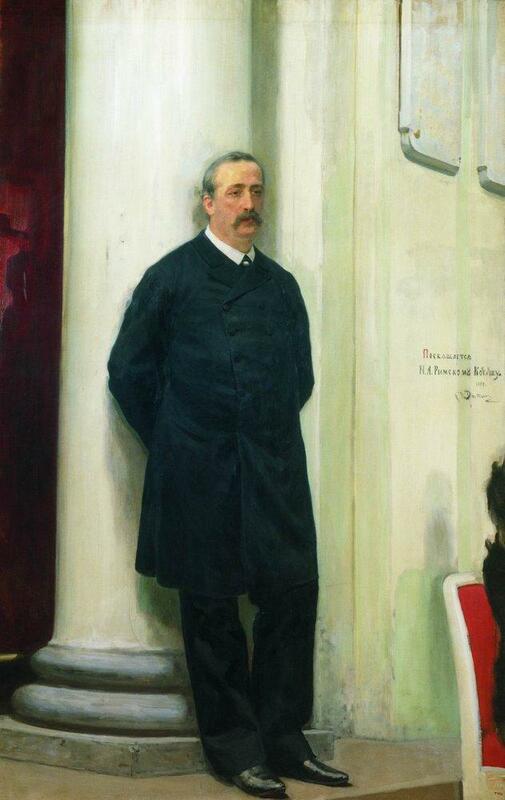 Even when he tried to focus on educating and mentoring young scientists, Borodin still had an active music career. Borodin died surrounded by both music and science: in 1887, while dancing at a costume party at the medical school, he suddenly collapsed. His post-mortem, carried out in the same hall where the party took place, showed that he died of an acute myocardial infarction. His death of a heart condition is especially tragic if you consider that he once told a conference audience about the discovery of cholesterol in heart tissue, without fully appreciating the medical significance of it. Equally symbolic is the fact that his most famous discovery, the aldol reaction, is now used to develop atorvastatin, a drug used to prevent heart disease. It’s almost too poignant that two of Borodin’s somewhat ignored contributions to science could perhaps have helped him understand the disease that killed him. Even though Borodin was a respected chemist within the scientific community, he received nowhere near the fame that some of his contemporaries did. It could be because he decided to focus more of his attention on music, but science historian Michael Gordin takes a different view. He argues that Borodin’s scientific work is inflated to be more significant than it was because people are fascinated by his double life as a scientist and a musician. 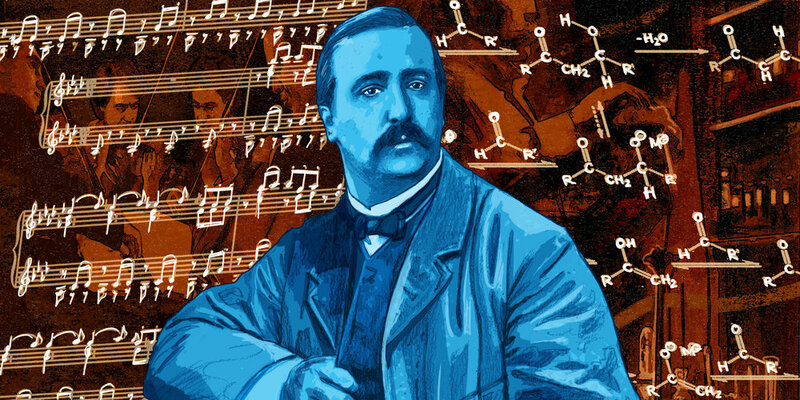 Maybe it’s true that Borodin’s music career makes us pay attention to his research in the first place, but putting him in the spotlight is a unique opportunity to show what science is really like. If we only focus on Nobel Laureates and other big names in science, we ignore the fact that many scientists’ work often just forms a small piece of a larger puzzle. The attention Borodin has gotten thanks to his musicianship has shown the world that success in science is never a solo performance. Because even though Borodin’s contributions to chemistry may not be as important and well-known as those of his friend Mendeleev, his mentor Erlenmeyer, or his son-in-law Dianin, he was there for key moments in all of their careers. On top of that he created opportunities for women like Lukanina to take on a bigger role in medical science. There are many other scientists like Borodin, whose greatest contribution to science is not necessarily their own research, but their support of others. That kind of “sidekick” work doesn’t get recognised with formal scientific accolades, but it’s the glue that holds scientific communities together.